What’s good? Rev’It call the Ignition a three-season jacket that works from spring to the beginning of winter. It achieves this by using a removable waterproof lining and a removable thermal lining, without them it’s simply a leather and mesh jacket with CE armour. It works well down to single figure temperatures and is a godsend with both linings out in really hot weather. There are vents on the arms too. The CE armour in the shoulders and elbows is comfortable and stays where it should. 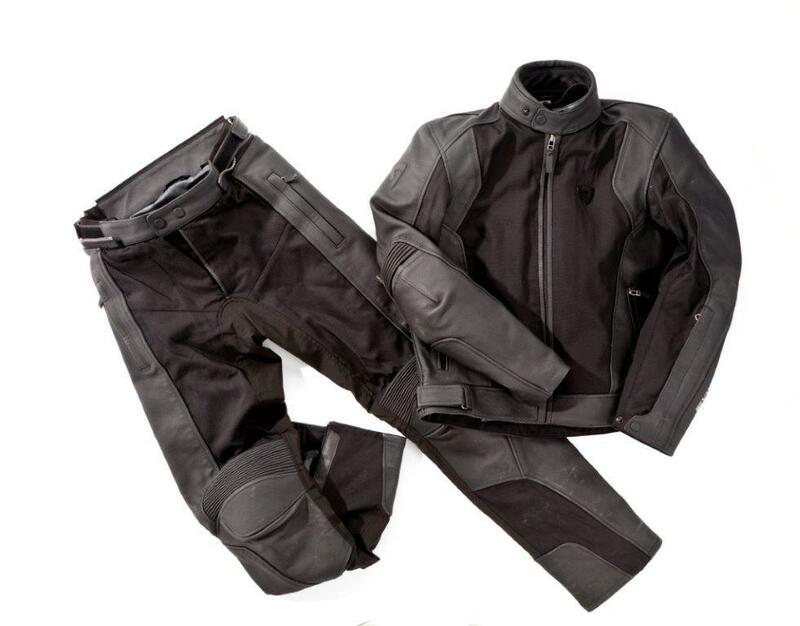 The trousers are also constructed from leather and mesh with a waterproof lining (no thermal lining) and fit securely, if a little tight around the tops of the thighs. The trousers are boot cut which means they go over the top of the boots for a more casual look. Both the jacket and trousers feature long and short connecting zips for an extra secure fit. What’s not? Despite the claims on the Rev’It website neither of these items are waterproof. They’re fine in light showers but just 30 miles into a 100-mile ride I could feel the water getting in and soaking my groin area. Arriving at the office it was my boxers and all round the bottom of my t-shire that was soaked. I’m not sure if it was the lining that let the water through or the area around the connecting zip.